Each day until the end of the year we will discuss the albums that have been on repeat on our stereo the past 12 months (in no particular order). Jon Hassell's muted, electronically enhanced trumpet style has been directly related to the experimental work of Miles Davis in the 70s. Jon Hassell's early work with electronic/ambient pioneer, Brian Eno are now considered benchmark recordings for the electronic/ambient and new age genres. Hassell's work has always combined the beauty of jazz and the wonder of eastern philosophy. 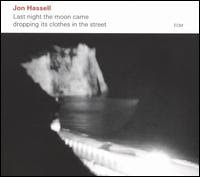 Last Night The Moon Came Dropping It's Clothes In The Street continues Jon Hassell marvellous use of soundscapes that are not just mood setting but highly involved experiments in world music with jazz and poetry as its foundation. This is an album you need to discovery and let melt into your system like medicine. There are times, as on the enchanting "Northline" that you can truly feel the Miles Davis influence with great effectiveness. The musicians Hassell has surrounded himself with (Eivind Aarset on guitar, Jan Bang (sampling) among others) for this recording add more cohesion and youthfulness to the proceedings than previous records. 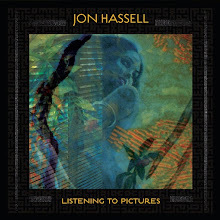 Jon Hassell has made one his best albums in over 20 years--a collage of sound, colours and atmosphere that is enjoyable from first listen. David S. Ware is probably the closest thing you will get to hearing John Coltrane. A declared influence on his development, David S. Ware has forged a career that has been built on spirituality and improvisation. His albums are always a step ahead of his contemporaries and challenge the listener to think and accept the different world that is around them and how it can influence you in more ways than just the music. Shakti explores the Indian tradition in the same manner Coltrane did with his later work such as OM, Crescent and Interstellar Space, etc. 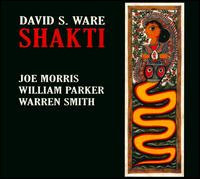 One of the fascinating things about Shakti that I have enjoyed is Ware's use of guitar (provide by the versatile Joe Morris) which acts as the replacement for a pianist and makes the outing an highly inventive affair. The interplay between the quartet is sublime and their approach throughout the recording is both seductive and rewarding. I've found that Shakti and Ware's 2006 BalladWare make for the best primer for those wanting to discover the complex, fierce and yet accessible world of David S. Ware.